Salvage your pen parts; replace components; exchange components and help avoid buying new pen parts with this versatile kit. Disassembles nearly all pen and pencil kits with tubes and components of any size. 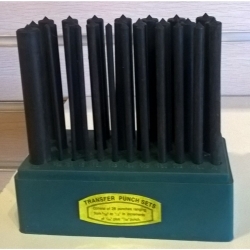 Includes 28 rods from 3/32inch to 17/32inch in diameter including rods small enough to feed through twist mechanisms to pop off pen tips and rods large enough to remove components from very large pens. Helps solve the following problems: You assembled your pen and the wood cracked You pressed a component in too far or you want to remove the wooden tubes You inserted a part in the wrong direction; or and put them on a pen with a different plating You want to exchange tubes between pens.